Here you will find information about Damson Days 2014. 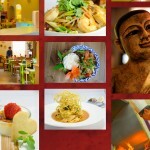 This post is updated regularly, so please check again for updates. 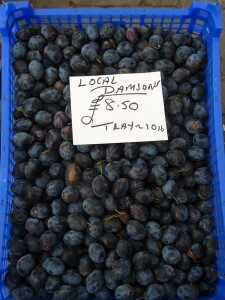 If you’re a damson afficionado, or even if you’re not, you’ll know that damsons are a true autumn fruit. It’s apt, therefore, to celebrate these lovely blue-black bombs of flavoursome fruits in the autumn time. 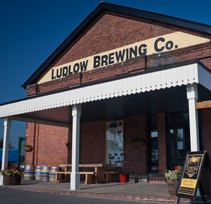 So, in Ludlow, the unofficial capital of Shropshire, we’re holding a two-week celebration of the Shropshire Prune variety of damson. Damson Days 2014 will take place between September 25th and October 9th, the midst of damson picking season. 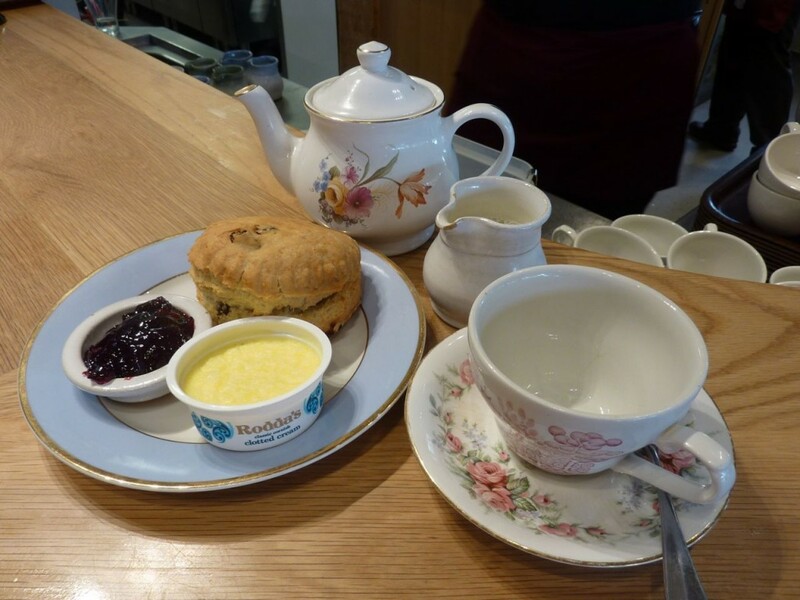 The Shropshire Prune, as its name suggests, has a deep historical and socio-economic resonance with Shropshire. In fact, the Shropshire Prune goes back a long, long way — most likely as far back as when the Romans ruled. 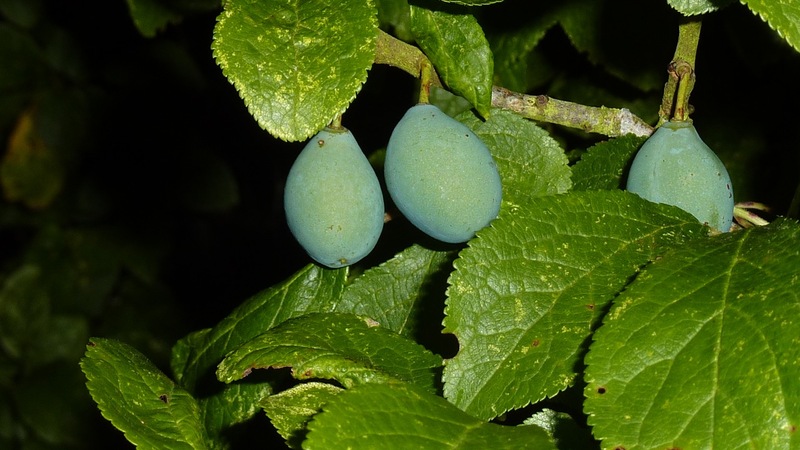 We’re pretty sure that the Romans brought the damson we know as the Shropshire Prune into (what we now call) the UK. But don’t worry if you don’t know what variety of damson you’ve got in your garden because other damson varieties are more than welcome to the party too! Here is a notice of the damson celebration. 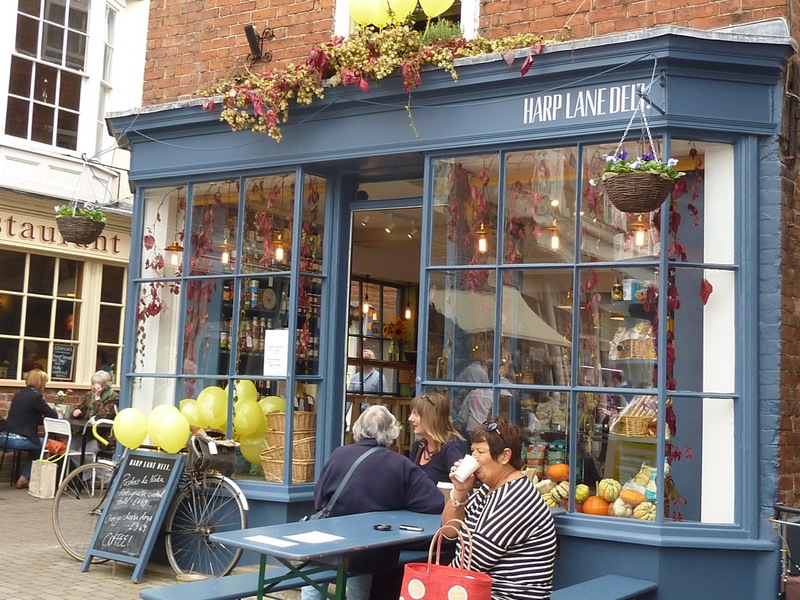 Two local chefs as well as a local artisan baker will be cooking or providing sensationally delicious damson dishes at the Damson Days launch event on Thursday, 25th of September. 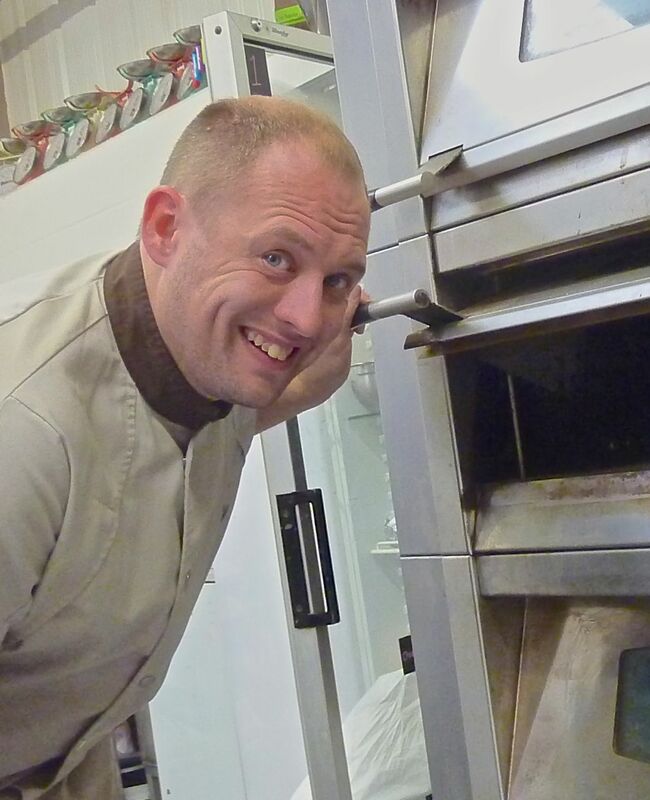 Robert Swift, artisan baker, from Richard C. Swift Ltd and owner of Bread2Bake. 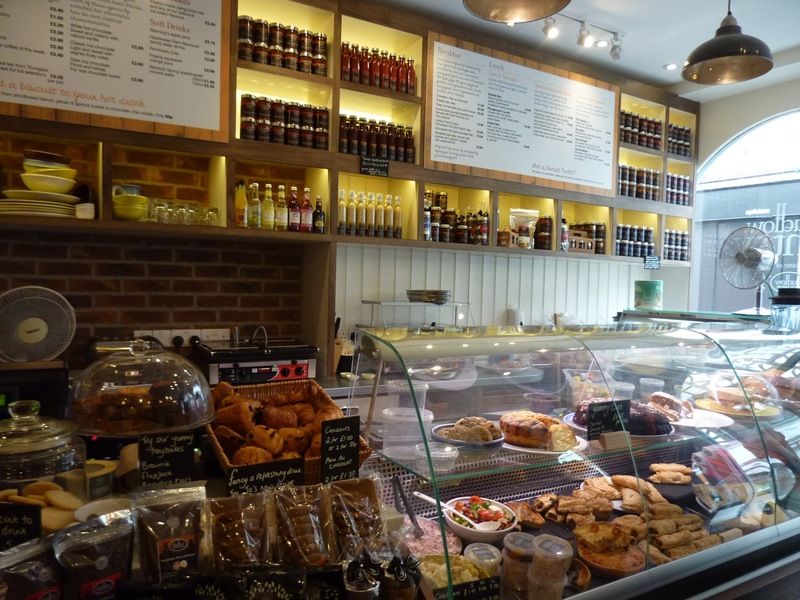 Robert will be showcasing baked goods made with damsons. 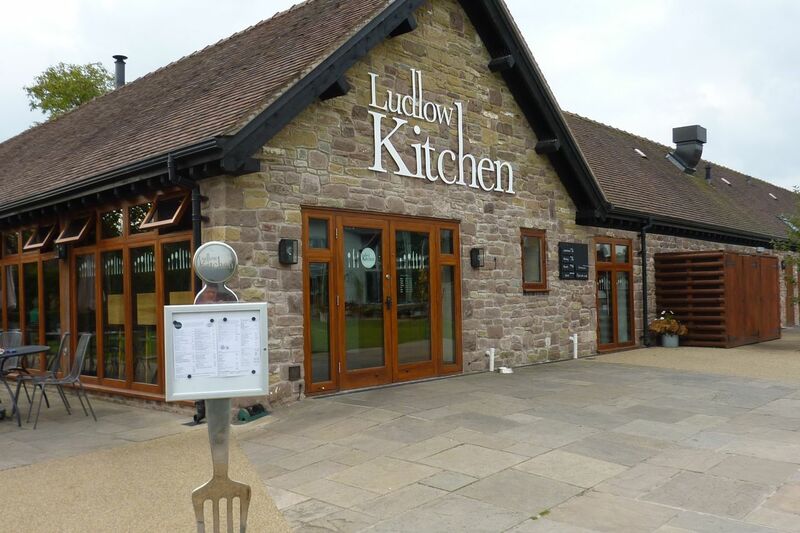 Chef Andy Link, Head Chef at The Riverside Inn, Aymestery, Herefordshire. 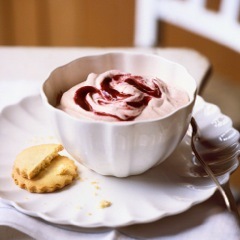 Andy will be making a savoury damson dish. 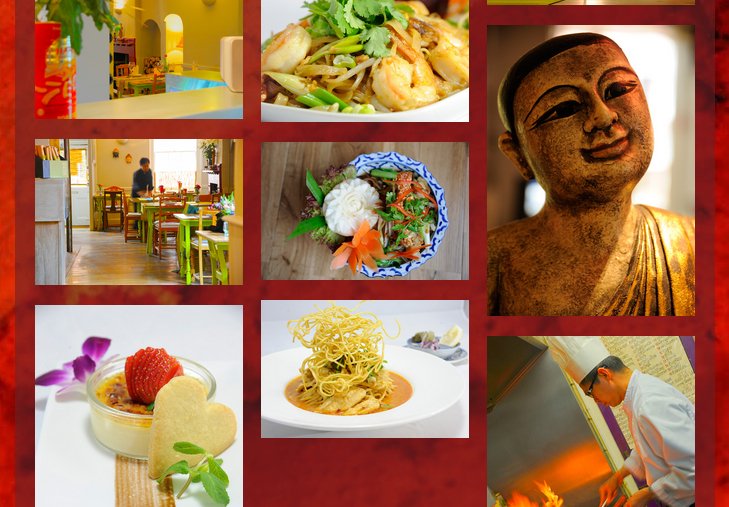 Chef Nathan Eades, owner of Epi Restaurant in Bromsgrove, Worcestershire. 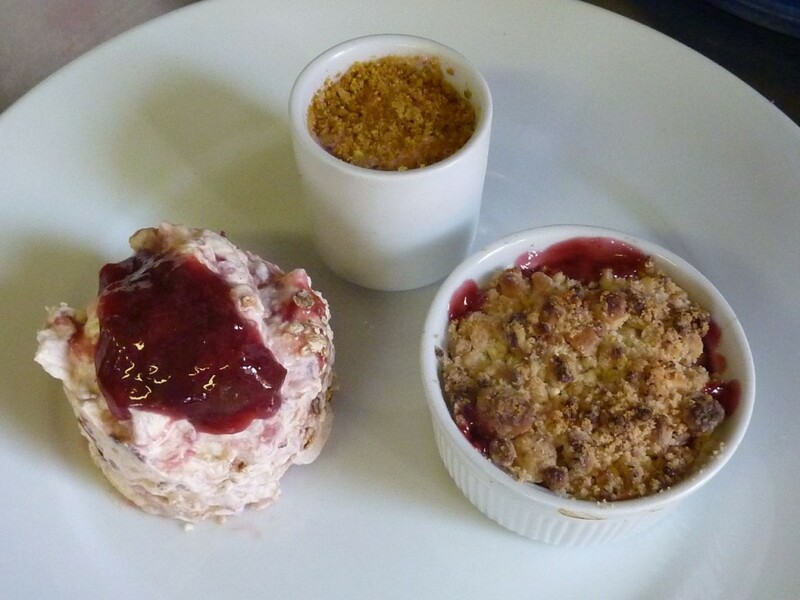 Nathan will be making a sweet damson dish. Here is a little more information about each of these food pros to whet your appetite for damsons. Robert Swift is a #realbread nut. A sixth-generation baker, Robert has a flair for incorporating local, seasonal ingredients into his breads and sweet dough products. 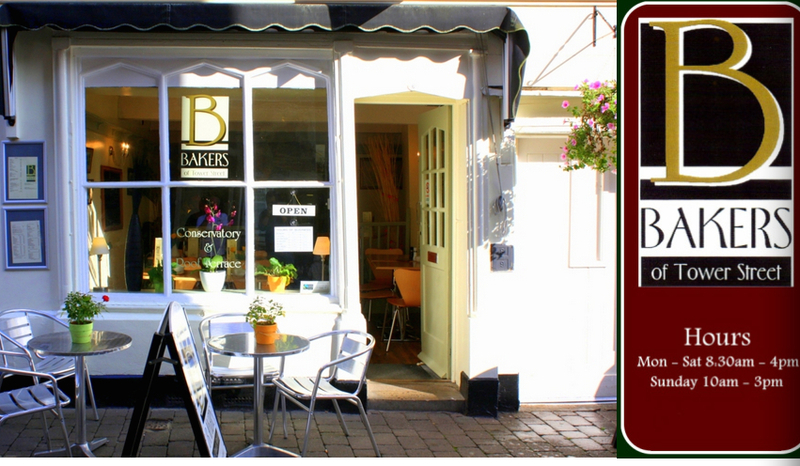 As well as running Ludlow-based, masterclasses on bread making, Robert has written a book on bread, Born and Bread. His book comfortably straddles the “bread nerd”vs “stress-free baker” fence. It reveals the secrets of the gluten framework, and shows how to make a range of delicious sweet and savoury bread products in a down-to-earth way. 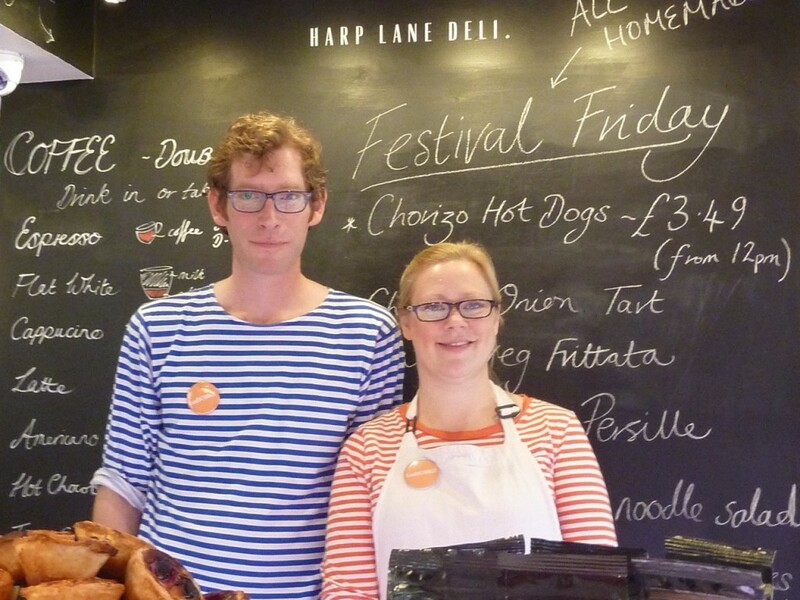 For Damson Days 2014 Robert is developing baked damson specialties including a sourdough based on fermented damsons. Robert Swift, Real Bread Maker of Swift’s Bakery in Shropshire. 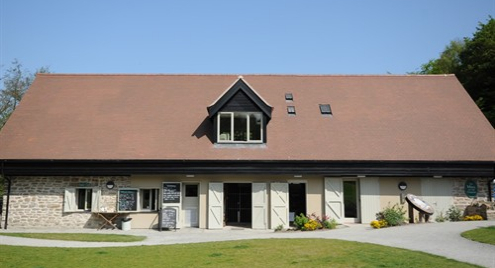 Chef Andy Link is not just Head Chef at the Riverside Inn at Aymestrey, he’s also a forager, a fruit grower and preserver, a vegetable grower and a bee keeper. 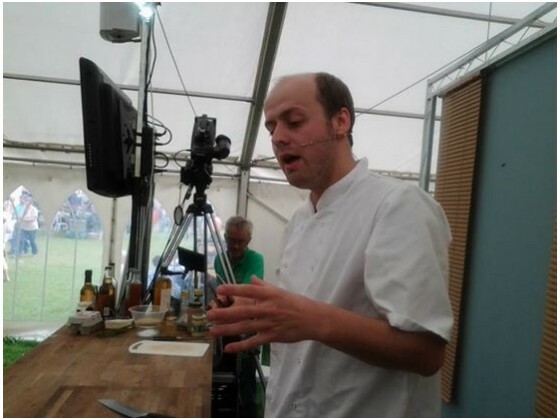 Chef Andy Link doing a demo at the Shobdon Food Festival 2014. Photo courtesy of the Riverside Inn’s Facebook page. 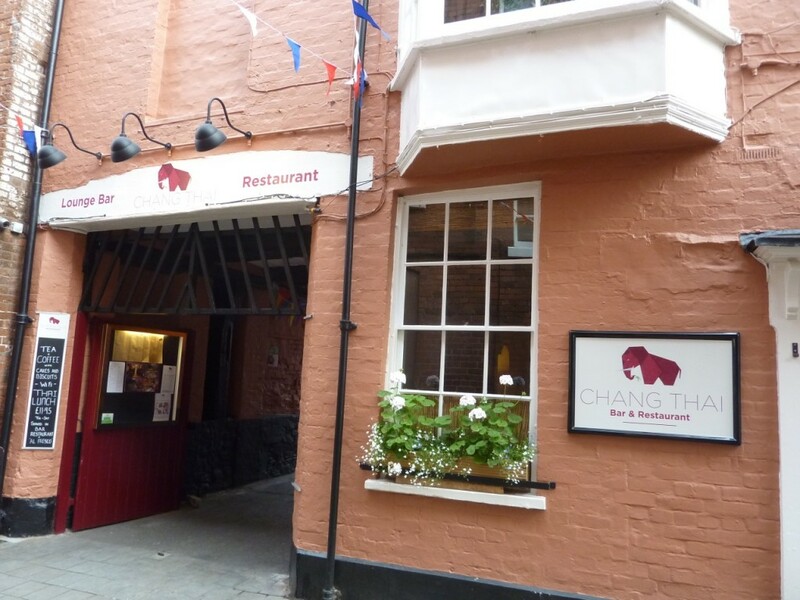 Andy won Herefordshire Young Chef of the Year 2007 and pays meticulous attention to sourcing local ingredients. 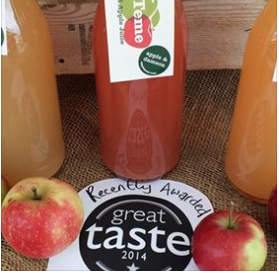 For example, he uses damsons from the trees in the orchard of the Riverside Inn to make a range of damson and other fruit preserves. 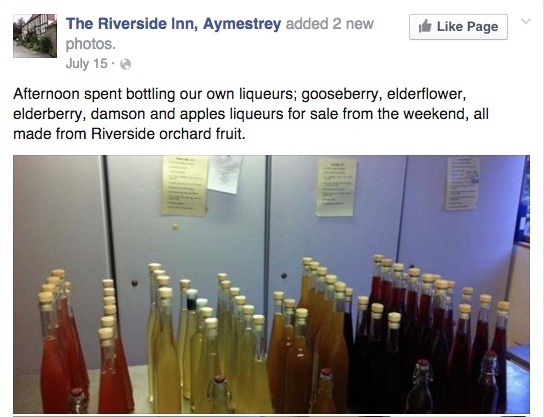 Local, Seasonal Fruit Liqueurs, from The Riverside Inn’s orchard. Photo courtesy The Riverside Inn’s Facebook page. 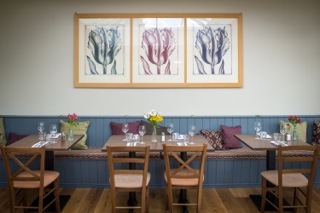 Previously a chef in Ludlow, Nathan Eades has opened his own restaurant, Epi, in Bromsgrove. Nathan Eades’ culinary passion can be summed up in four words: flavour, wild food, technique. Typically, Nathan will take seemingly banal, overlooked or forgotten ingredients like bronze fennel, chickweed, meadowsweet, nettles and, it has to be said, damsons, and use a touch of molecular gastronomy technique to coax out their distinctive and unique flavour. 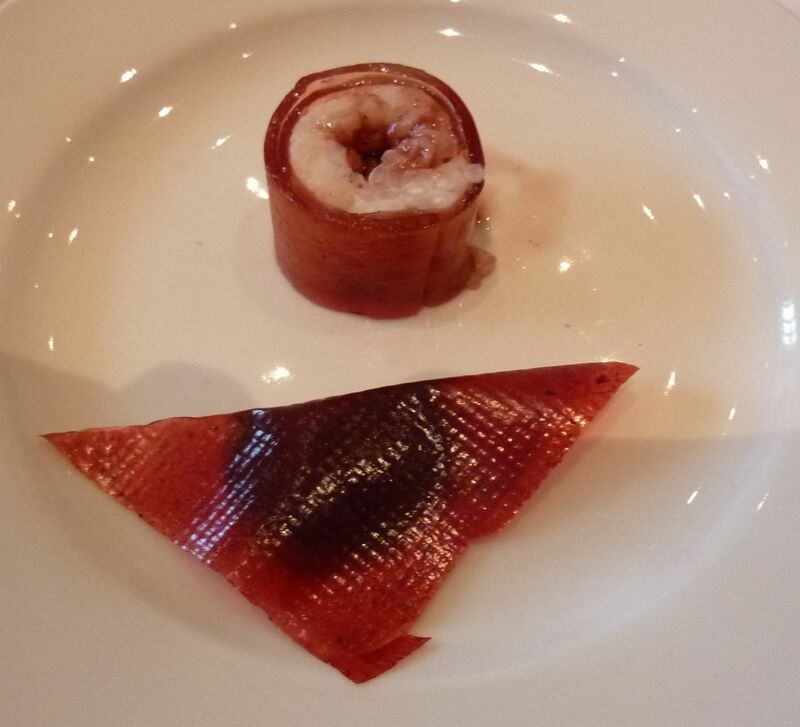 A couple of years ago Nathan, along with his colleague Chef David Jarram, made a dessert of sweet damson sushi and a raviolo of bittersweet chocolate ganache infused with Earl Grey tea. Sweet Damson Sushi and a Raviolo of Bittersweet Chocolate Ganache with Earl Grey. 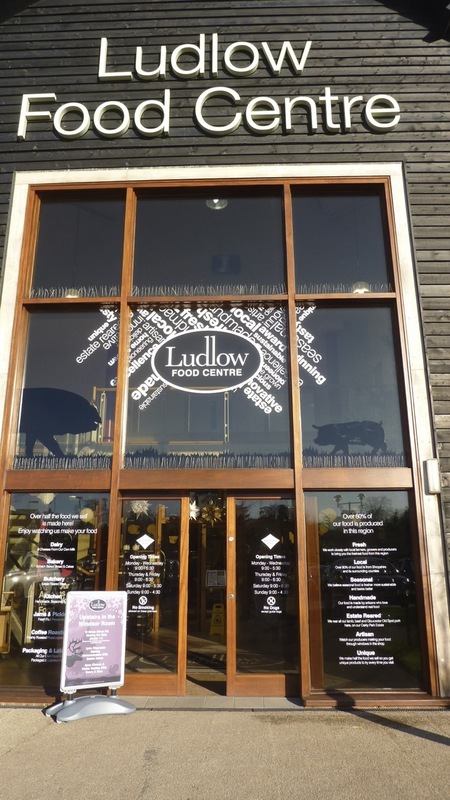 Made by Chefs Nathan Eades and David Jarram for the Ludlow Slow Food Taste Workshops. Nathan is bringing his forager, Mike Wilkes, along for his sweet damson demo. Sweet damson treats await! 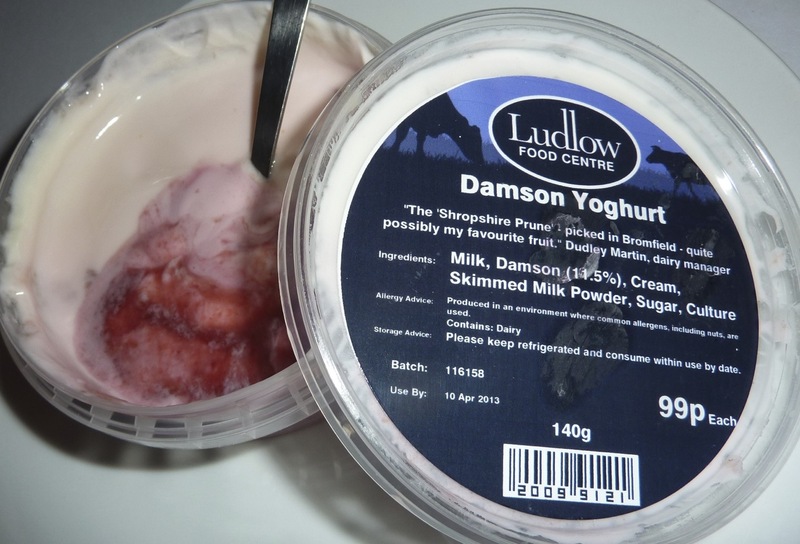 Shropshire Prune Damson Yoghurt Made by Dudley and Paul with Damsons from the Ludlow Food Centre's Own Orchard. 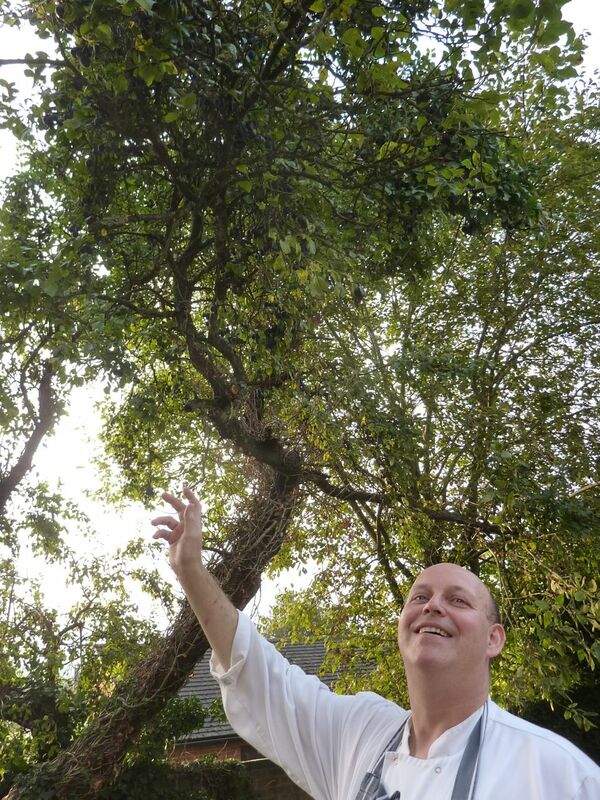 Chef Martin Humphries, The Boot Inn, Orleton, Picking Shropshire Prune Damsons From the Boot's own Garden. 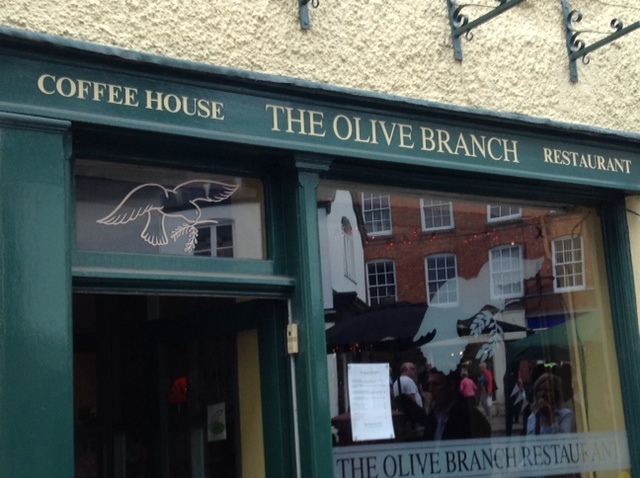 The Olive Branch, Licensed Wholefood Restaurant and Coffee House 2/4 Old St.
Hannah and Henry Mackley, Owners of Harp Lane Deli, Ludlow. Damson Fanatics Both. 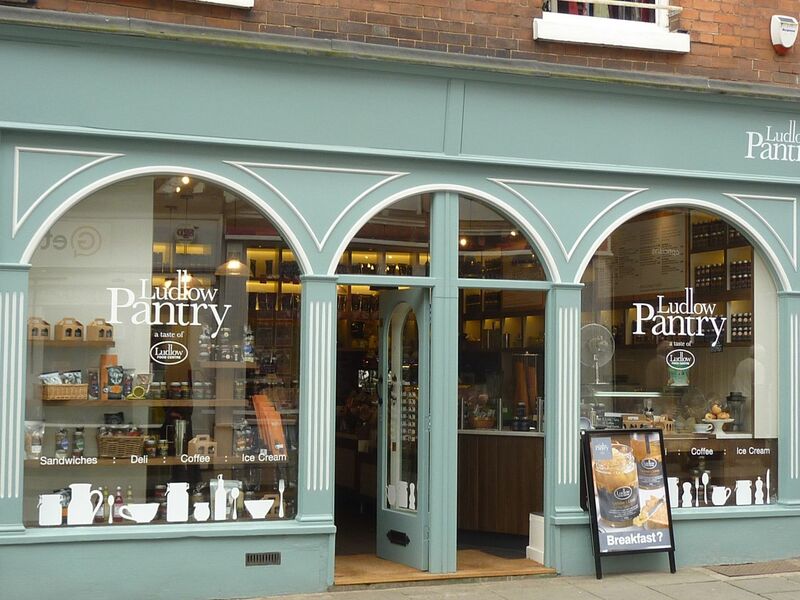 Ludlow Pantry 10 High St.
Baker's of Tower Street Tower St.
Baker's of Tower Street, Ludlow. 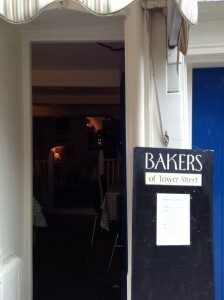 Photo Courtesy of Baker's of Tower Street Website. The Entrance to Baker's of Tower Street, Ludlow. 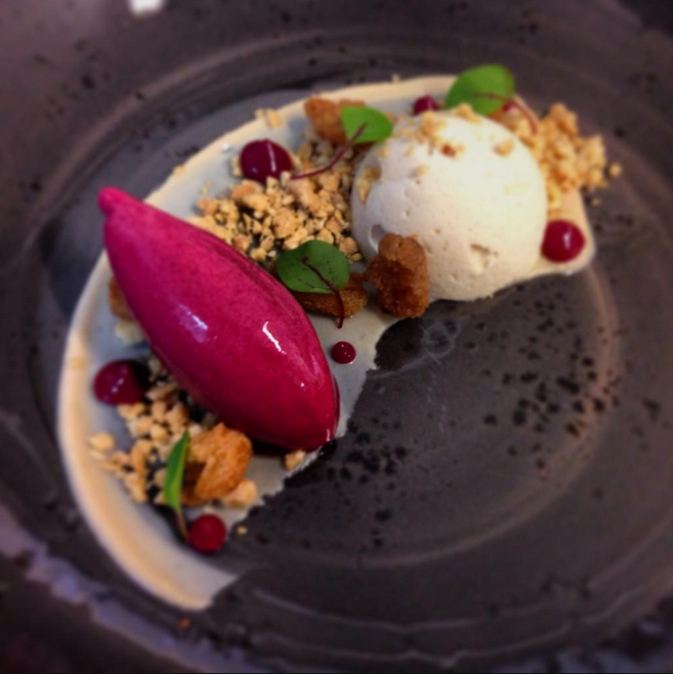 Peanut Parfait, Brioche and Downton Damson Sorbet and Damson Gel. Photo courtesy of Head Chef Karl Martin. So, put these two weeks in your diary and please check back here for updates on Damson Days 2014. Shropshire Prune damsons in early July 2014. 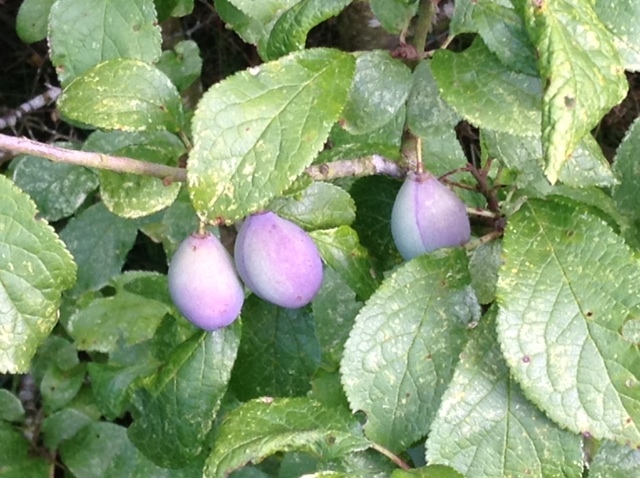 Shropshire Prune damsons in early August 2014. 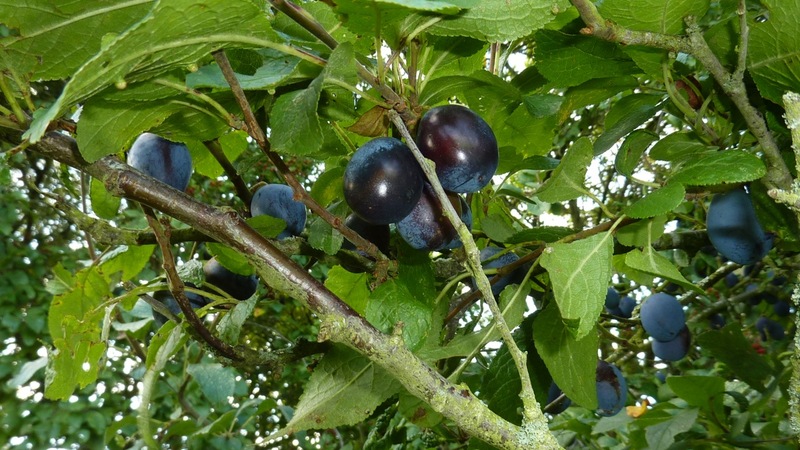 The Shropshire Prune ripens through the middle of September into the middle of October: it is a genuine autumn fruit.